Twitter today rolled out emoji support for gendered emojis seen most recently in iOS 10, as well as emoji 32 new professions in female and male variants. These include scientist, farmer, health worker, and teacher. These additions are all part of Twemoji 2.2. 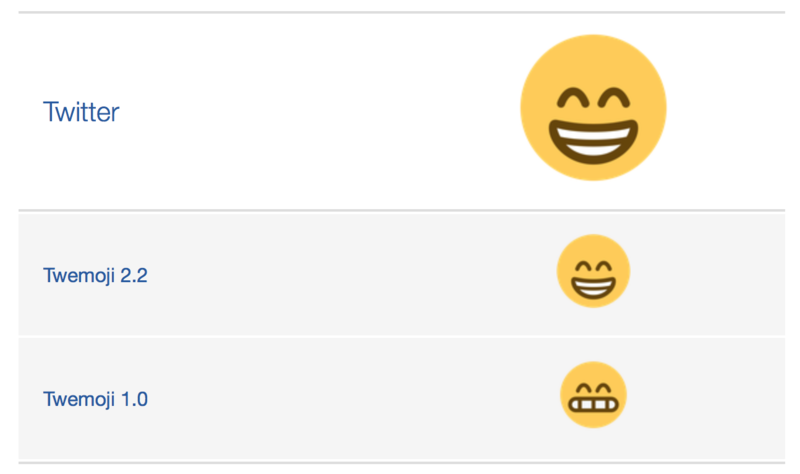 Tweaks to existing emoji designs have also been included for a number of characters such as 🇷🇪 Flag for Réunion and 😁 Grinning Face With Smiling Eyes. It should be noted that gendered emojis and emoji professions both have a draft status at Unicode, and as such these should be treated with caution. Names and/or sequences could change before Emoji 4.0 is considered final. 33 gendered emojis are now available on Twitter which provide compatibility with characters such as 🙇‍♀️ Woman Bowing Deeply, 💁‍♂️ Man Tipping Hand, and 🏃‍♀️ Woman Running. This results in a total of 33 female and 33 male versions of existing emojis. Most importantly, support for these characters in Twemoji ensures that gendered emojis sent from iOS appear as intended on Twitter, rather than as a base emoji + female/male sign. Emoji 4.0 includes a number of updates, with the most prominent one being new professions - each which have a male and female variant. Initially started as a proposal by Google, the exact list has been undergoing changes throughout 2016, and is expected to be finalised in November. Smaller additions from Emoji 4.0 include modifier support for 👯‍♀️ Women With Bunny Ears, 🤼 Wrestlers and 🕴 Man in Business Suit Levitating. A number of emojis have undergone changes in this release, mostly in keeping with Apple's design updates. Now available on platforms that support Twemoji. This includes Twitter.com for desktop browsers, and will also roll out to TweetDeck in a future release. These emoji updates are in draft status at Unicode, and as such may change when Emoji 4.0 is released in November 2016.